On 27th April 2014, Blessed John Paul II was canonised by H.H. Pope Francis in St Peter's Square in the Vatican and was for that reason formally proclaimed a Saint of the Catholic Church. Polish birthed Karol Józef Wojtya, one of the most prominent and widely-travelled Popes in past, was the first non-Italian Pope for more than 400 years and led the Catholic Church from 1978-2005. The Pontiff stood out for his media friendly style, was a fierce critic of communism and is accepted with inspire opposition to communist rule in Eastern Europe. 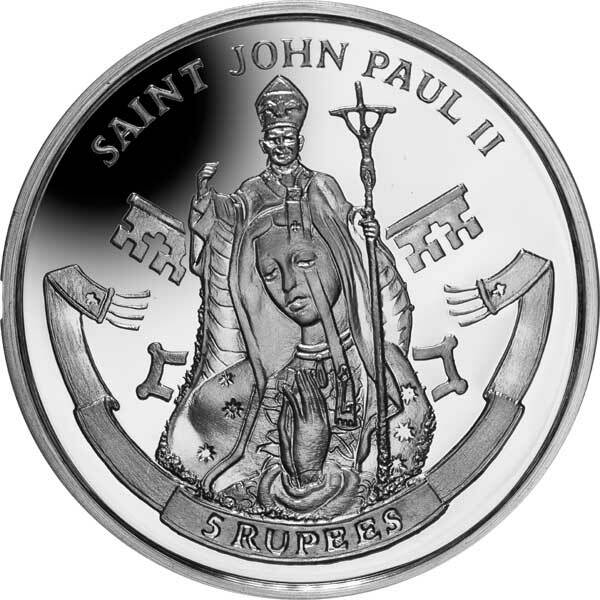 The design on this spectacular new coin features to a statue of His Holiness Pope John Paul II with a photo of the Virgin of Guadalupe, made totally from keys donated by Mexicans. The keys symbolize that Catholics had given the Pope the "key to their hearts". In the background are the Crossed Keys of St Peter, one of the symbols of the Papacy. 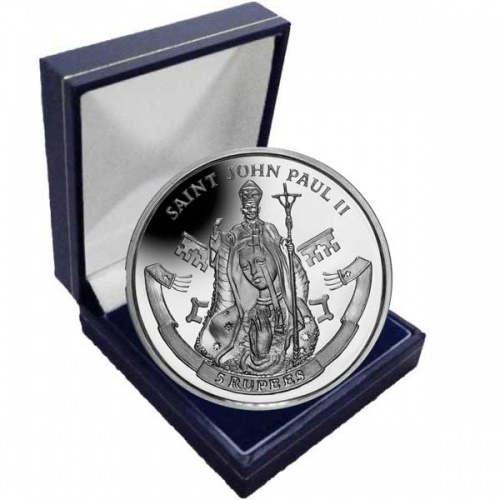 Produced in Cupro Nickel and Proof Sterling Silver, all coins have been produced to the highest quality and the Proof Sterling Silver coins have been struck four times to produce a mirror surface background with the design sculpted in striking relief. 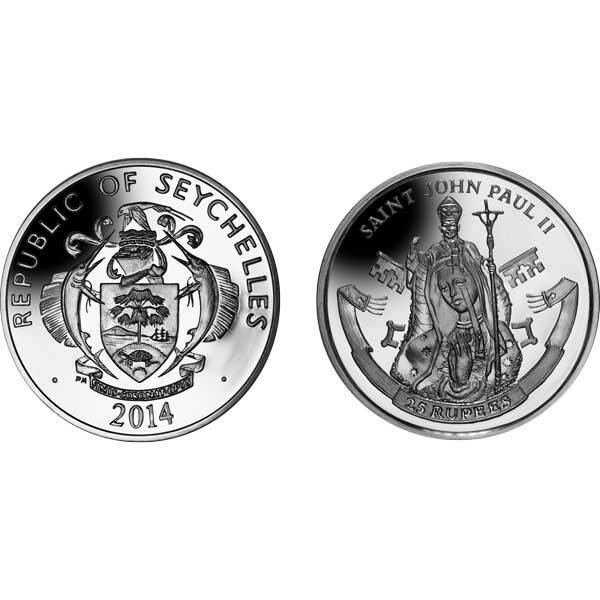 The obverse of the coin carries the Coat of Arms of the Seychelles.